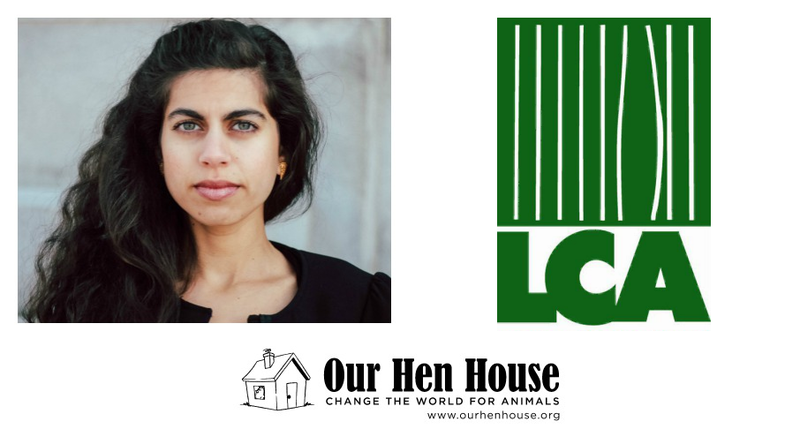 This week, Jasmin talks with Our Hen House’s Michael Harren about the activism he participated in and witnessed at this year’s Kaporos ritual in New York City, including the story of a rescue attempt on a chicken. It’s a compelling discussion that we know every activist and anyone with compassion for animals will find inspiring. They also talk about Michael’s long-running podcast, MikeyPod, and his recent book, The Animal Book. Then, we welcome back to the show one of our favorite guests, Tracye McQuirter, for a new edition of “Teaching Jasmin How To Cook Vegan.” Tracye teaches Jasmin how to cook Spicy Basil Eggplant with Dates, Cashews and Brown Rice. The recipe comes from page 185 of her book, Ageless Vegan. If you missed our interview with Tracye about that book from episode 443, you can listen to it here. They also talk about Tracye’ phenomenal new project, African American Vegan Starter Guide. 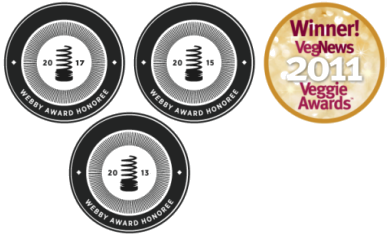 Tracye McQuirter, MPH, was named a national food hero changing the way America eats for the better by Vegetarian Times and her first book, By Any Greens Necessary, established her as one of the most influential vegans in the country. Tracye directed the nation’s first federally funded vegan nutrition program and was a nutrition advisor for the Black Women’s Health Imperative. As an adjunct professor at the University of the District of Columbia, Tracye designed and taught a plant-based nutrition curriculum for the District of Columbia Public Schools System to help prevent and reverse childhood obesity in Washington, DC. 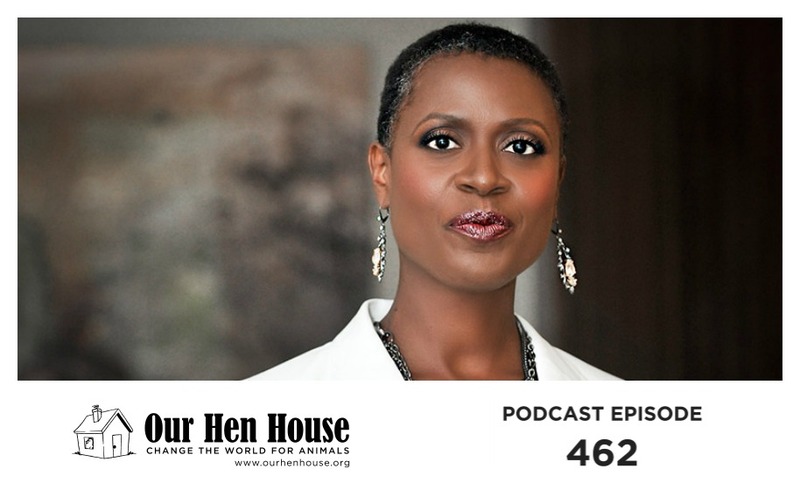 She recently created the first-of-its-kind, free African American Vegan Starter Guide in partnership with Farm Sanctuary. Her work has been featured in the New York Times, the Washington Post, Essence, Bon Appetit, Ebony, VegNews, the Huffington Post, and more. Here’s the recipe for the dish they make so you can follow along at home. If you make it, take a picture and tag us on Instagram (@OurHenHouse) or tell us about it on our Facebook page! This colorful, antioxidant-rich eggplant dish has layers of texture and flavor in every mouthful. Spicy mixed vegetables combine with a tangy, savory sauce over fluffy brown rice. And they’re topped with dates and cashews for an unexpected sweetness and crunchiness that are a perfect complement to the dish. In a large pot, bring 2 cups water and rice to a boil. Reduce the heat, cover, and simmer for 45 minutes. Set cooked rice aside. In a large skillet, heat 2 teaspoons of the oil over medium-high heat. Add the eggplant cubes, sprinkle with a pinch of sea salt, and sauté until the cubes are tender, about 2 to 3 minutes. Remove the eggplant cubes from the pan and set aside. In the same skillet, heat the remaining 2 teaspoons of oil over medium-high heat. Stir in the onions, garlic, and ginger and sauté until the onions are translucent, about 3 to 5 minutes. Add the bell pepper and sauté until the peppers are softened, about 1 to 2 minutes. Add the eggplant cubes, vinegar, coconut aminos, and cayenne. Gently toss for 2 to 3 minutes. Taste and adjust seasonings, as desired. Remove pan from heat and toss in the basil. Serve hot over brown rice and topped with dates and cashews. And no episode of Our Hen House would be complete without Mariann bringing us some Rising Anxieties.